The ongoing quest for answers surrounding death and the journey thereafter is a century old fascination society has toiled and battled with in searching for truths. 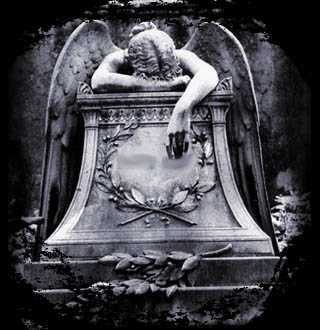 The award winning documentaries will take you on a journey in discovering the many facets of death from fears to anxieties regarding the very topic of death to uncovering facts about people who die without the existing family members to carry out a proper burial including the cremation process from start to finish. 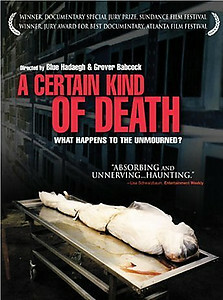 "A Certain Kind of Death" embarks on the handling of the deceased from morgue officials to police officers when there are no relatives or next of kin to do away with the human remains, these questions and more are openly unveiled in this DVD documentary. 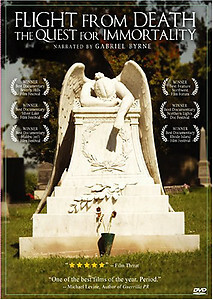 The portrayal of death is openly viewed in these video documentaries through the eyes of the creators of the powerful DVD's. 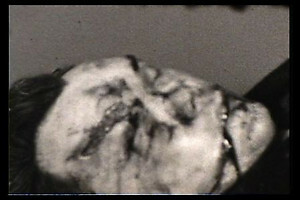 "Flight From Death" based on real life case studies involving the social patterns of human beings and how their perceptions of death drives people to act out their aggressions through violent means. Unique as every individual so are our beliefs about death, how we deal with our emotions and feelings on the subject is depicted in this captivating documentary.